St. Patrick's Cathedral in Dublin is a worthwhile stop. 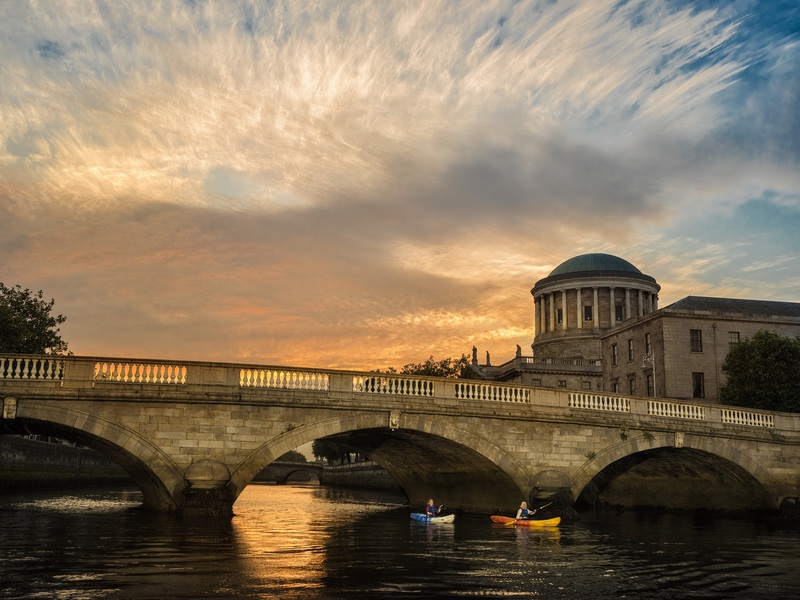 The River Liffey runs through the city of Dublin, Ireland. 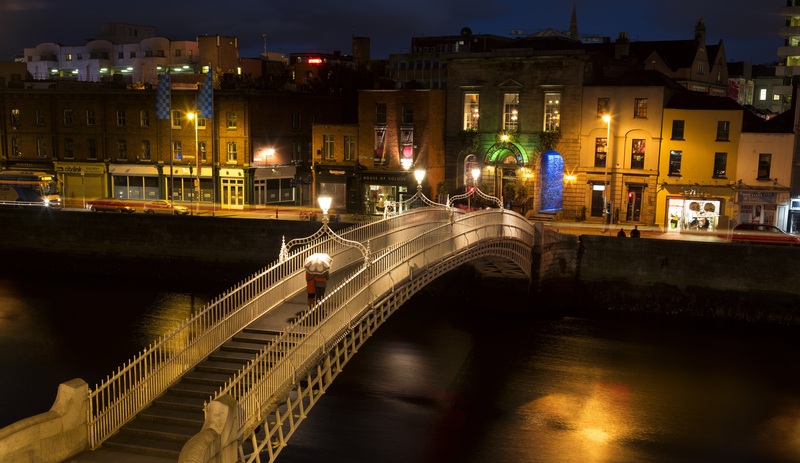 At sundown, the Ha'Penny Bridge is illuminated to match the skyline. Cozy streets of Temple Bar are fun to see at night. It’s time for Ireland. 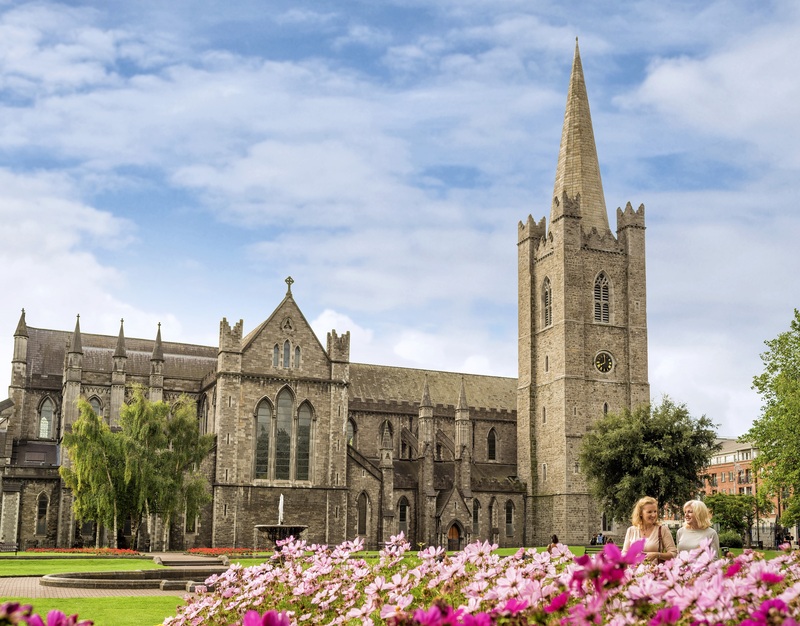 Great Value Vacations is offering a three-night “Dublin City Break” package with a starting rate of $613 per person for 3 nights, with 4 and 5-night packages also available. We like the Great Value Vacations rate based on two travelers sharing a room, because you can build in even more value with a $99 upgrade, which gives you breakfast daily, admission to the Guinness Storehouse (a must for all ages to understand the cultural history of this famous beer), and a Hop On Hop Off bus pass, good for 48 hours of sightseeing in Dublin. Solo travel is available at a higher fee, as are upgrades to a four-star property, and travel from other gateways. 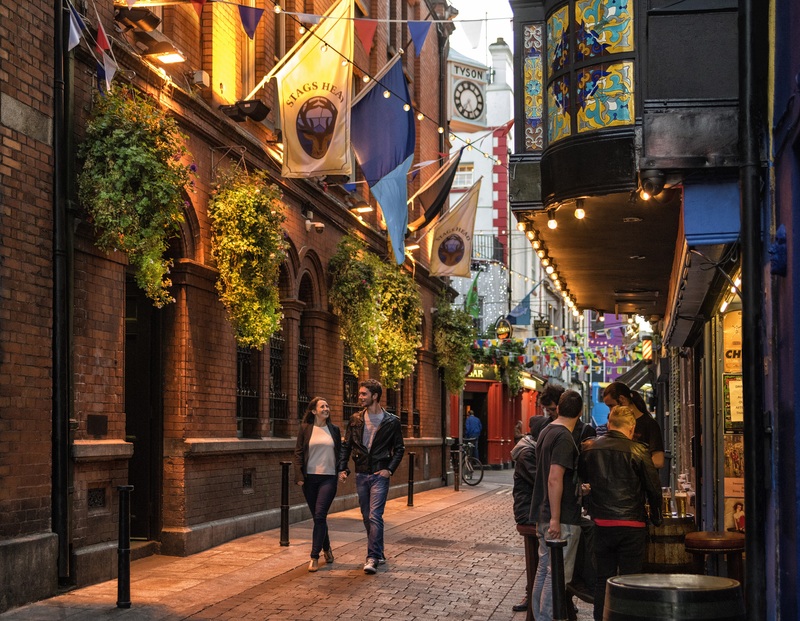 With three nights in this fun town, you’ll leave begging to see more of Dublin and Ireland’s many attractions. First, allow plenty of time to walk the older sections of town and stop in pubs, as Irish people are the best asset this verdant country has on offer. Walk more; cross the Ha’Penny Bridge, check out the famous “Book of Kells” at Trinity College, admire the library, or pop into the St. Patrick’s Cathedral and go out in Temple Bar after dusk. Not familiar with Great Value Vacations? Based in Rockville Centre, NY, Great Value Vacations is part of the holding company DH Enterprise and Associates, Inc. Since 1980, they’ve been running European tours, escorted vacations and travel technology services under the Sceptre Tours and other familiar brands. We like a great value and we love Ireland, so this offer is a win-win. Check out their value vacations to several other destinations as well. The Great Value Vacations Dublin offer is valid for travel on select dates from October 2016 to March 2017, so there’s plenty of time to plan a trip. Call 800/896-4600 or visit GreatValueVacations.com for more information and bookings. And, Aer Lingus has followed suit — if you book your roundtrip flights to Ireland by September 21, 7:00pm ET, you can enjoy rates as low as $499 from Boston to Shannon, $499 JFK to Dublin, and $749 for Los Angeles to Dublin. Check out the Aer Lingus Vacation Store for a variety of other offers, some including room stays and car rentals.